It is a testament to who the man was that, while we all found this unnerving, none of us found it even slightly surprising. My father marched to the beat of a different drummer. You see, it wasn’t really the edge of the world. 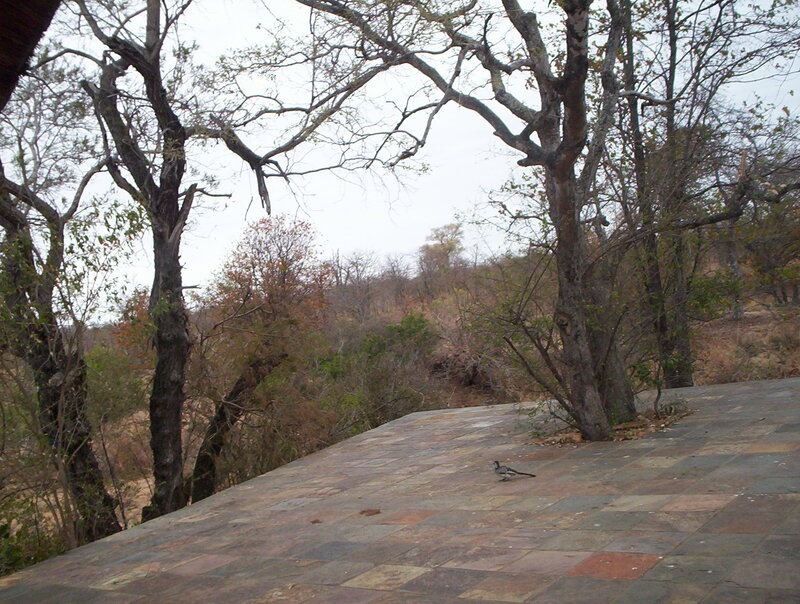 It was a two meter drop at the edge of the stoep (patio) at his place down in the bush, “Ntsiri”. It was a moment that encompassed my father perfectly. You see, most men would do this sort of thing after a heavy night out with their buddies. My Father was stone cold sober. It was nine in the morning. He was just too busy looking up at the trees to bother with the ground beneath his feet. He was hurt. He was a big man, six foot four and over a hundred kilograms, and designed more for heavy moving than throwing himself off low cliffs, so his knees took a beating, but more than that, I think there was a small part of him that was hurt that the ground hadn’t risen up to meet his feet. It usually did. He was born more than a decade and a half after his siblings, because his brother snuck off to fight in World War Two, and his parents feared he would not be coming back. He did. So my uncle and aunt were more like extra parents than siblings. He grew up on a farm. The wives of all the farm hands worked in the house, and they all adored him and fawned over him. It was a childhood that made him all the things he was to us. The world belonged to him. In his own mind, he was bigger and sleeker and wider and brighter than anyone else he knew (no, he wasn’t a Cure fan, the words just fit). In his own mind, he knew that if he worked hard he could have whatever he wanted. In his own mind, he knew that people were interested by the (generally odd) things that interested him. In his own mind, he knew that he mattered. That what he said would be heard. That the people he liked would like him. And that the ground would rise up to meet his feet. All of this makes him sound arrogant. And he was. But in the most charming way you could imagine. Because somehow he managed to pull it off. You see, he usually was bigger and sleeker and wider and brighter than anyone else in the room. He worked like a dog, and got all of the things he wanted. He was interesting. He was heard. He was liked. He mattered. If the ground let him down every now and then, it was a small price to pay. His childhood also made him into the most magnificent lunatic I have ever known. To have had everything he did valued so highly freed him from the bounds of self-consciousness and conventionality that hold the rest of us back. It made for a wonderful, unique childhood for his children. In the game reserve, we were the family who drove casually past most of the animals, but screeched to a sudden halt to look at unusual plants while a queue of cars formed behind us, desperately scanning the bush for the lions or leopards they were sure we had seen. We were the family sneaking matchboxes full of rare seeds through customs. We were the family who cooked squid heads stuffed with desiccated mushrooms on the braai (barbeque) while everyone else had steak. We were the family who drove 500 km without opening the windows or turning on the aircon, so we could “test the car’s fuel consumption”. He was useless at expressing emotion, yet somehow we all knew we were loved beyond the telling of it. Even when we were all adults, with lives of our own, all he wanted was for us all to be together. He was given to strange passions, both temporary and permanent. His greatest loves were plants (and his garden), the bush, and my mother. The temporary ones were the fun ones though. For a while, as a child, I was pressed into service as his wood cutting partner. For some reason, he decided that the fires we made all had to be made up of uniformed sized blocks of wood. Every holiday for a couple of years started with me and him sawing logs into four inch lengths. Then there was Jethro Tull. Every day for a year or so, he played “Locomotive Breath” on a loop as he drove us to school. He never tired of it. He only stopped when one of my sisters had a mini breakdown. There was the “cleaning his glasses with methylated spirits” phase, which stopped when he could no longer open his tortured, bloodshot eyes. There was the “braai (barbeque) out in the bush” phase, which stopped the second time our open bush vehicle was surrounded by lions sniffing out the lamb-fat soaked dishes in the back. My children, at the edge of the world my father gave us. There was the “ask for the food that the owner of the Chinese restaurant was feeding his own family” phase, which stopped when he realised that no-one else in his own family was eating the boiled jellyfish. His health was always a source of great, and peculiar, entertainment for him. While he cheerfully smoked sixty unfiltered cigarettes a day, he decided that Hepatitis B was the greatest threat to his wellbeing. We all had to go off and get inoculated. Eventually, the cigarettes got the better of him, and he had a heart attack. He decided that this didn’t mean the end for him in terms of bacon, as long as he ate a single slice of toast smeared with lecithin every day. Just recently, he found a sick bat in his garden. I had made the mistake of giving him a book about plagues. He decided he was going to die of rabies, and took himself of for another course of inoculations. He made my mother go for them too- you can’t be too careful. Through it all he managed to remain positive and cheerful. Health was a hobby- you could choose the parts that interested you and ignore the rest. And then, a couple of weeks ago, while pottering around in his garden, where he was happiest, he lay down and died. He hadn’t been ill, and the doctors tell us he would have felt no pain. He just lay down and stopped. I can’t think of a better way for him to go. In fact, he couldn’t have planned it better himself. Everything came together just as he would have wanted it- he died before my mother, as he wanted. He didn’t have to go off and get a hearing aid, as he wanted. He won the great life insurance lottery, as he wanted. And he never had to get old. 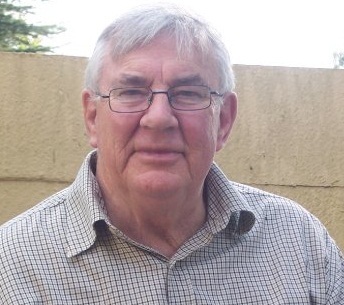 It is a gift that none of his family will remember him lying grey and wasted in a hospital bed- my last memory of my father will be the quixotic ride we took through the streets of Johannesburg, towing a broken Land Rover behind his Jeep on a short metal tow bar. We arrived home shot through with adrenaline (never tow a broken Land Rover through the streets of Johannesburg on a short metal tow bar. It’s not fun. (Actually it was great fun, but don’t do it anyway)), had a quick cup of coffee, and said our goodbyes. Forever. There was no funeral. That’s not who we are. We didn’t even go to the cremation. I suppose someone will pick up his ashes later. Instead, we all got together that Sunday for a family lunch in his garden. It was just my mother, us children and our families, and one of my cousins. It was chaos. Collectively, there were 12 kids, most of them his direct descendants and none of them quiet and retiring. We raised a glass of wine to him while his legacy ran screaming and laughing round his lawn. It beat the hell out of organ music and tearful condolences. There was a small ceremony. We asked all the children to write him a goodbye letter, which we planned to bury under three of the trees he had bought on his last plant buying expedition. I went off into a shady part of the garden and dug a hole, and the crowds moved in. All 23 of them, in a tiny little space, trampling plants and jostling for room, and started our little farewell. I stopped for a second and looked around. All of the children were on their knees in the mud, putting their letters in the damp ground. One of the kids was shouting that she wasn’t going to put her lovely letter in the ground. Another was asking loudly if we were going to put granddad into the hole. One started filling the hole with flowers, leaving no space for the trees, while another complained that someone was throwing mud on them. Some of the adults were giving loud and conflicting advice on how to plant the trees. Some of us were laughing too loud, others crying. It was chaos. He would have loved it (except for the plant trampling part). As we filed back out into the bright Highveld sun, I knew we were going to be fine. None of us is too much like any of the others, and no-one will ever be quite like my father, but together, we are bigger and sleeker and wider and brighter than anyone else we know. We matter, and if any of us ever walks off the edge of the world, the ground will rise up to meet our feet. Because someone made us that way. Goodbye Dad. And thank you. This entry was posted in childhood, family, Love, parenting, Uncategorized and tagged Dad, Death, Father, Love, Mourning. ….the writing, the bloke I never met or was never likely to meet, and the tribute you paid to him. Oh. My. What a beautiful tribute. Brought back memories of my wonderful father who died too young, but mercifully very suddenly at age 63. Sounds like my Dad and yours could have been friends – except for that snarky distance between Johannesburg and Chicago. Love your writing. Wow! My Dad died in 1997 and I still miss him so much. Your tribute was very touching, and one thing I do know, the pain fades but those good memories stay strong. I was touched that you liked a post of mine and then found you and read this. A beautiful tribute to a lucky-sounding man. My grandmother went the same way, and this beautiful post brought back some memories of her. Thank you. Beautifully written eulogy – I was moved. Your dad and my dad are alike in many ways. However, my dad is my hero and there is not an arrogant bone in his body. My dad was born 12 years after his brother, who also fought in WWII and returned unharmed. My dad grew up on a farm for part of his life..
thanks for visiting my site http://weepingintodancing.wordpress.com/ I hope you found it encouraging. What a wonderful tribute to what sounds like a lovely man. A lovely tribute to your father, I wish I had known him. You have written a very nice tribute to your father. He was lucky to have a son who adored him. That’s a great tribute to your father! What a lovely tribute to your incredible father. I hope my family “buries” me the same way:) Really lovely. A life well lived never dies. Thank you for the gift of your father. I am delighted to connect with your blog. It’s pure grace.